My daughter loves this unicorn decal in her room! She was so surprised at how big it was once we put it up. Her friends love looking at it. Decorative and simple, this wall decal will add flair to your room. 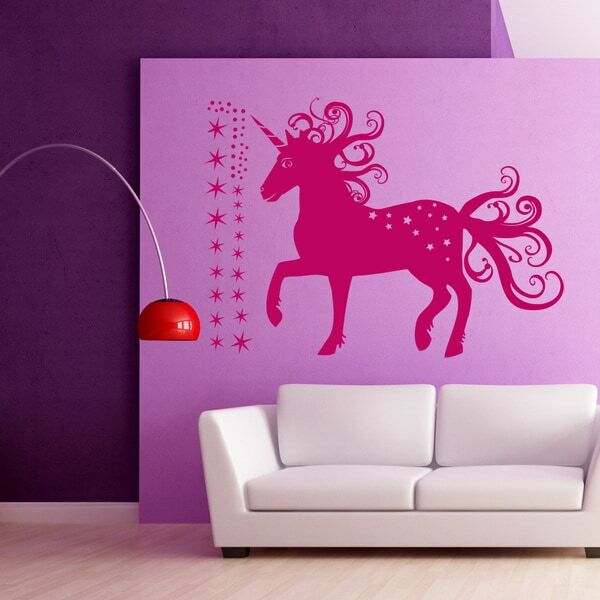 Choose from a variety of colors to decorate with this Magical Unicorn design to add charm to your home. Available in two sizes, this decal will beautify your home. Each decal comes with easy-to-follow instructions and an application tool.